This is the Hayward H400FDN Review: Gas Pool Heater. Looking for a gas swimming pool heater that will last for years to come? 19 FREE GIFT: Get a One-Page Summary of This Article! In this article, we give the Hayward 400000 BTU natural gas pool heater a thorough review. Help you decide if this pool heater is right for you. Hayward pool heater sizing charts showing which size heater to buy. What to do when the heater arrives, deciding on installing yourself or use a professional. Hayward pool heater manual, reference guide, and parts list. Gas pool heater Install, maintenance, and other videos. Pool For Thought Quick Summary: A useful one-page summary of this article you can download and save. If you are pool owners like us, you want all this information in one place, so be sure to bookmark this article so you can come back to it. Also, be sure to download the quick summary guide at the end of this article. What makes the Hayward H400FDN natural gas pool heater so special? Buying a pool heater is much like buying a furnace for your home. Too small, and the heater has to run extra keeping up. To large, and in the best case you likely spent more money than you needed, worst case and the electrical and gas lines might be incorrect for your oversized unit and requiring more installation costs that needed. The Hayward H400FDN gas pool heater falls within falls within Hayward’s Universal H-Series line of pool heaters. Knowing how to read the Hayward model numbers will be useful when reading the rest of this article, as we discuss other Hayward H-Series pool heaters as well. Other Hayward H-Series pool heaters include the Hayward H150FDN and Hayward H250FDN. They are the same basic natural gas heater design, but sized according to different pool sizes. This review article covers only the Hayward H400FDN. A few Hayward Universal H-Series gas pool heater models. The defining benefit is the Hayward H400FDN is well suited to the pool owner with a large pool. The Hayward H400FDN gas pool heater is highly popular among pool owners, as reviews on websites like Amazon show. Click here to read Amazon reviews. Hayward’s H-Series lineup uses similar and even the same parts across their entire line. For a manufacturer, this means they can spend time designing quality parts and making the same part (instead of making unique parts for each heater size and having less time and resources to make sure each part is well designed for its purpose). It has been designed with quality for pool owners. Ease of ease of ordering, shipping, installation, operation, maintenance are all geared for the pool owner. We’ll talk features below, but just remember that this pool heater is designed for you if you have a large pool. Why this heater instead of others? We’ll have other reviews of other pool heater makers soon, but wanted to start with one of the best on the market. 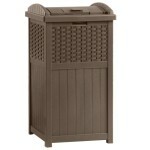 As for your pool size, we have a sizing chart later in the article if you find this heater is too large for your pool. Why buy online? Did you know you can have this heater delivered right to your house? Qualified and certified pool installers can install it for you, so save money on the heater by ordering online and focus on finding the best installer. The best have expert knowledge about your entire pool and is a wise choice. Other than your pool, your heater is likely one of the most expensive pieces of equipment for your pool. I would have said even a few years ago to not buy online, but if you know what you are buying, know what to do once you get it, and know what to do if things don’t turn out as you expect, then you are fine. I’ve owned a swimming pool since 2006 (and maintained the same pool heater! ), so I’ve had my share of issues. I don’t like to waste time and money, and ultimately I want to make sure you invest your money and time wisely. I have a local pool service company do maintenance on things I cannot or do not have the time to do. At PoolForThought, we educate swimming pool owners, even though they may do all the work themselves or hire everything out. Even if you buy a pool heater from your local pool service company, at least you will be able to ask the right questions when it comes time to make a decision. Meets clean air quality standards. Hayward H400FDN is a low emissions NOx (mono-nitrogen oxides) gas pool heater that runs efficiently, yet meets air quality and emissions standards. It’s the environmentally conscious choice when compared to gas pool heaters that are not rated for low emissions. Installing a “low NOx” gas pool heater can also avoid violating local environmental laws if you have them. Less damage from salt, high chlorine, low pH. Less chance of copper contamination in pool. All gas pool heaters operate by running water from the pool through a heat exchanger. Most heat exchangers in modern gas pool heaters are entirely made from copper. Copper works great to transfer heat to the pool water, but copper is both expensive and delicate. If you own a copper cooking pot, you’ll probably know it easily can dent, tarnish, and corrode. As heat exchangers are usually the most expensive gas pool heater part, it’s important to protect them. Copper heat exchangers are more prone to failure than Hayward H-Series heater exchangers. Hayward instead uses Cupro-Nickel, (a copper-nickel alloy), where the nickel aids in corrosion resistance from saltwater pools and those with the water unbalanced. You can read more about copper-nickel here. Salt water pools can corrode copper over time, as can unbalanced pool water the pH level too low. Corrosive pool water can wreak havoc quickly on pool heaters, dissolving the copper into the pool water. Having a corrosion-resistant heat exchanger is especially good for a high heat capacity 400k BTU pool heater like the Hayward H400FDN. Most other pool heaters force the pool water into smaller pipes inside the heater. Why is this bad? Creates extra work for pool pump, pressure over time on the smaller pipes. Benefit: faster heating Heats your pool faster than the one degree per hour for a comparably sized pool. One thing owners overwhelming report is the Hayward heats water very fast. Built-in heater bypass to protect heater from too much water pressure. Why is a bypass an important feature? A bypass prevents overly-high water flow rates from going through the heater, potentially exceeding water pressure levels the heater was not designed for. Also, heat generated by the heater can only heat the water so fast, and if pool water passes through the heater too quickly, then the heater is not efficiently heating. What’s so special about this bypass? The bypass is a spring loaded cartridge and is unique to the Hayward H-Series low NOx gas pool heater product line. The bypass is auto adjusting and has a maximum allowable flow rate. If your pool water pump exceeds the max flow rate excessively, the heater will shut down automatically and you may have to also install a separate bypass prior to the heater to offload the excess pressure. You can find flow rate values in the Hayward gas pool heater manual below. If you choose to have your heater installed by a professional, they can verify your water pressure and if you need any special modification to your pool piping. Hayward reports you can save up to 18 percent savings by reducing pump run-time. You need the pool pump to pump water through the heater. Now, this figure is entirely dependent on your pool setup, but what they are getting at is (1) you don’t need to run your pump 24/7 anyway, and (2) a more efficient heater will heat the water faster so you don’t have to run the pump when it’s not needed. Since the heater is more efficient, it heats faster so your pump doesn’t have to run as much. Your pool pump is an electric motor, so you would potentially see these savings in your electric bill. greater efficiencies. You have the option for larger water connections into the heater [show product options]. You’ll likely have this pool heater for years to come, so you may as well have it operating at peak efficiency. The burners are where natural gas ignites and burns, so pool heater burners need to be strong enough to withstand on and off heating cycles, and continue to burn consistently even though they may be exposed to debris and moisture. Natural gas pool heaters containing stainless steel burners are usually standard in the industry. Any lesser material will degrade faster and would need yearly replacement. Stainless steel burners are also easier to clean if they become covered in debris or soot. In my experience, burners eventually do need to be replaced as moisture does fall on the burners and corrodes them over time, but this can usually be measured in years. Even quality stainless steel burners like those in the Hayward H-Series gas pool heaters are not a very expensive replacement. These are what keep the heat in the heater long enough for the water to be heated. The better the heater keeps the heat in the heater (without being blown out with the exhaust, or leaking out of the heater body), the greater the efficiency of the heater. An added benefit to extra insulation is slight improvement in noise reduction. Temperature display shows the current pool water temp. Status and error codes for quick diagnosis. Having a high tech gas pool heater like the hayward H400FDN fully controlled by such a small and easy to use control panel is a definite advantage. The hayward H400FDN control panel allows you complete command of your pool water temperature with the press of a button. Desired pool water temperature can be raised or lowered with aptly-colored red and blue buttons. Various indicator lights show the heater status and any error codes display on the digital display. Gas pool heaters need to breath. The surrounding air is sucked into the heater, heated through the combustion chamber (this is where your pool water flows through), and then the exhaust air is vented out of the heater. Forcing the right amount of cooler air in and the heated air out increases the efficiency of the heater, as the amount of air can be optimized for the best burning to heat the pool water. Read more below about installing the Hayward H400FDN below in our “Installation” section. Owners with 30000 gallon pools and more are reporting the exceptionally great fast heating, and you can expect about one degree Fahrenheit per hour for that size of pool (although this varies with air temp, wind speed, water/pump pressure). People with 8000-10000 gallons report over two degrees per hour. The Hayward H400FDN gas pool heater has plenty of advantages. Let’s discuss the disadvantages. They are more expensive, but you are getting better made parts that are made to last. If you are particular about your pool, keep the water balanced and generally debris free, and don’t mind paying for something that should stand the test of time, then this heater is for you, despite the cost disadvantage. They are more expensive, but you are getting better made parts and made to last. If you are particular about your pool, keep the water balanced and generally debris free, and don’t mind paying for something that should stand the test of time, then this heater is for you, despite the cost disadvantage. When getting your first gas pool heater, expect a higher gas bill, especially early and late in the pool season. Some owners have reported that their gas bill is higher than expected, but with a heater that heats water so fast, owners tend to be more liberal with their heating. If you heat a pool, a thermal barrier is a smart choice (pool cover, thermal floating blanket, etc). Expect a higher gas bill, especially early and late in the pool season. Some owners have reported that their gas bill is higher than expected, but with a heater that heats water so fast, owners tend to be more liberal with their heating. If you heat a pool, a thermal barrier is a smart choice (pool cover, thermal floating blanket, etc). Owners have reported parts cost are expensive, but electronics, heat exchangers, blower motors are expensive. This is an important reminder to ensure your water balance and environmental around your pool heater encourages long operating life. This can be said about any heater with a pump or blower motor inside it – they all make noise. There are noise-dampening steps you can take though. You can build do-it-yourself pool equipment enclosures and sheds. You can also buy pre-built enclosures here. [see available pool equipment enclosures on amazon] Check with your home association guidelines if you have them, as they might dictate what you can and cannot build.This can be said about any heater with a pump or blower motor inside it – they all make noise. There are noise-dampening steps you can take though. None of the disadvantages are really specific to Hayward or this model. You can argue any pool heater makes noise, will eventually need replacement parts, gas pool heaters use gas, and they all cost money. We’ve tried to give you an unbiased, facts-only review of the Hayward H400FDN gas pool heater. What if this pool heater is not the right size? Want to know when we post more pool heater reviews like this? Did you know there are other types of swimming pool heaters? Electric pool heaters heat the swimming pool water with heating coils directly heated with electricity. Don’t worry, there is no risk of electric shock. Also powered by electricity, a pool heat pump compresses surrounding warm air into a very hot gas. Pool water is pumped through a heat exchanger where the heat from the hot gas is transferred to the pool water. The cooler gas is routed back through the condenser and the process repeats. Heat pumps work best in warmer climates since its easier to heat up warmer air than colder air. Solar pool heaters are popular among homeowners that have the space for the solar capture panels, have plenty of sunshine, and not a very large pool. There is a small amount of electricity used on some solar pool heaters, as a water pump is needed to pump water through solar heating coils and back into the pool. If you have a wooded property with plenty of old wood to deal with, a wood-fired pool heater is actually an option. A wood-fired pool heater heats the swimming pool water by burning wood, heating a heat exchanger which heats the pool water as it circulates through. Given those features, how important are those benefits to you? Think about these and compare with other pool heaters before making your decision. Some might be more important than others. If you meet these conditions, then this product is right for you. The bottom line is if you can afford a top quality gas pool heater, and are attentive enough to do or hire regular maintenance when needed, keep your pool water balanced, then this pool heater is right for you. Imagine stepping into your pool, and instead of tensing up as the water is much colder than you would like, the water is warm and relaxing, much like the water along a tropical beach. No more shivering kids wrapped in towels wondering if they should get back in your chilly pool water. No more waiting until summer is well underway to start using the pool, and no more watching your pool season be delayed as a cold snap reduces what little summer you already have. Installing a high-quality pool heater will get you the best bang for the buck. Pool heater manufacturers are a little reserved when asked how long their heaters last. This depends on on use, environment, water, flooding, and other environment conditions, but quality modern gas pool heaters could last 10 years and only require occasional maintenance as long as they are used as instructed by the manufacturer. Buying a low quality heater can cost less, but if you have to buy a replacement heater in five years because your low-quality one failed, not only did you likely pay almost as much as a quality heater, but you then have to pay for removal of the old heater, buy another new heater, plus pay for another installation. Pool heater owners overwhelming say they enjoy being able to control their swimming pool water temperature, and extend their entire pool season. You paid all that money and invested all that time in getting your swimming pool just the way you wanted, why not extend its usefulness? Hayward H400FDN Gas Pool Heater. If the decision of buying and installing a pool heater is stopping you from lengthening that pool season by having your pool water exactly the temperature you want, then continue reading about the Hayward H400FDN. Did you know you can buy the Hayward H400FDN gas pool heater online and have it shipped to you directly safely and quickly? Buying is very easy with Amazon. Multiple companies sell this pool heater through Amazon, and Amazon ensures shipping and delivery is fast, accurate, and arrives at your door safe and secure. You can save on shipping if you have an Amazon Prime account. Pool heaters are heavy, and shipping without Amazon prime is about $200 USD, so you’d pay for the Amazon subscription roughly twice buying this pool heater alone! You can sign up right now and save on the shipping cost when you order. Since saving on heater shipping will save you more than the cost of the Amazon Prime membership, you can order other things for one year and pay no shipping when ordering from Prime vendors. Amazon often has trial versions of Prime for just a few dollars. It’s a great deal. If you have concerns about ordering a pool heater online because it’s so expensive, you can order with an Amazon Store Card. You can also save a percentage of the purchase cost if you sign up for the card and order the pool heater. Click here to learn more about the Amazon Store Card. Amazon is also offering the Amazon Rewards Visa Signature Card, where you can also save a percentage of the total when you order the pool heater. Click here or Click the Card Photo to learn more about the Amazon Rewards Visa Signature Card. With so many options to buy a Hayward gas pool heater from Amazon, the only thing you have to do next is pick which size Hayward H-Series gas pool heater to buy. Continue below to see how easy it is to pick the correct Hayward gas pool heater for your swimming pool. One gas pool heater does not fit all swimming pools, so in this section we explain how to pick the right size of Hayward H-Series gas pool heaters. Again, it’s easy to pick the right size heater for your pool. How do I know what size gas pool heater to buy? Biggest Factor: Your swimming pool size. Have you ever heated a large, full kettle of water on your stovetop? It takes much longer than a small tea kettle, doesn’t it? Your swimming pool is essentially a very large, and very full kettle of water. Your swimming pool size is the biggest factor in picking the right size of pool heater for your swimming pool. It takes lot of energy (heat!) to heat water. The more water you have, the more heat your pool heater has to work to heat the water up and maintain that temperature. There are more options than just the Hayward 400k BTU gas pool heater. Here are some examples of various Hayward H-Series gas pool heaters. You can view more of them on Amazon.com. Click here to view all Hayward H-Series gas pool heaters. A note about heater size: A pool heater should heat the pool, on average, one degree an hour. Once the heater is sized to the pool, stepping up one or two sizes will decrease the time to heat. Hayward does make a 500000 BTU model, the Hayward H500FDN. First be sure one of the smaller heaters can meet your needs. Locate the surface area in the table that is equal or greater than your pool’s surface. For example, my pool is an 18 foot wide by 36 foot long rectangle pool. My surface area is 648 square feet, so looking at the chart above I should select the H250 model. If your square footage is exactly the value on the chart, Hayward recommends going one model number higher to ensure the gas pool heater can easily heat the pool water. So instead of the Hayward H250 model, I could opt for the Hayward H300FDN if I wanted to ensure fast and consistent heating. Now, the depth of the pool is also a factor, and their are more detailed ways to calculate the volume of water based on all the dimensions of your pool, but Hayward makes it easy just estimating based on the exposed surface area of your pool. Evaporation and water exposed to open air can have a big impact of heat retention. Hayward does make a 500000 BTU gas pool heater model, the Hayward H500FDN. First be sure one of the smaller heaters can meet your needs. Divide your pool surface area by three for indoor pools. Indoor pools are usually in an environment that is warmer, there is no wind or drastic temperature changes, resulting in far lower heating requirements. YouTube Video: Selecting a gas pool heater – considerationsHave a spa or hot tub? Hayward gas heaters work great for those as well. [image Show heater with hight, width, length] [image showing top-down footprint of heater, and connectors] Bullets on installation dimension guidelines. Do you live in a humid and warm area with little wind? How about a dry, cool, windy climate? Dry and cool air, plus windy places make pool heaters have to work harder to maintain the water temperature. We also list all the Hayward H-Series gas pool heaters in this article down below in our Pool For Thought Pool Store section. Click here to take a look. After you order, Amazon will schedule an appointment with you since the pool heater is “high-value” and heavy delivery. You or someone you trust will need to be there to sign and receive it. Inspect the unit when it arrives. You have the right to refuse delivery if you notice obvious damage and/or missing pieces. The heater will arrive on a pallet, and the delivery person will haul the entire unit to your driveway with a hand truck or possibly forklift. If your heater is to be installed nearby, you can ask if they can quickly help you deposit the heater where it is to be installed (although they are not required to). I didn’t install my pool heater, and when the day comes I need to replace my current heater I’ll likely hire my local pool professional to install it. However, if you do have the skills needed to install a pool heater, then this is certainly an option for you. Pool professionals should be able to install in less than half a day. Only your local pool professional can give you accurate quotes, but install cost might fall somewhere between $350-$750 USD. Remember, if you have a licensed professional do, then your 1 year Hayward warranty is doubled to 2 years. Paying a little extra for a professional to install and getting an extra year warranty is a very smart choice. As we discussed above, Hayward’s warranty is one year for non-licensed installation and two years for licensed installation by a licensed pool professional. If you do hire the installation, make sure they are licensed and discuss the warranty with them. You can get all the details of the warranty in our warranty section below. Owners have reported that if their heater is in direct sunlight for the majority year, that the LED panel degrades to the point of needing replacement. You may have to look at sun-blocking landscaping, trellis, etc. It’s also smart to cover the heater during the months you pool is closed. You can connect the power, gas or water to either side of the heater. At Pool For Thought, it’s our goal to make sure you get the most out of your pool worry free. A swimming pool is a large investment, and It’s smart to protect it. I’ve used both a heater cover and a pool cover for years and are key reasons why my gas pool heater has lasted 12 pool seasons as of this writing. I’ve used a pool heater cover for years, and if you own a pool heater you really need a cover for your heater when it’s not in use. I tend to not cover the heater during most of the pool season, only when I know I’m not going to use it. I need to state the obvious though. Do not use a heater cover when your pool heater is in use. I only cover my heater if I know it is shut off and cannot be turned on. I usually cover the heater if there is a major multi-day rain storm approaching, if I’m going to be gone for a week or more during the pool season, and of course when my pool is closed for the season. Do you have a pool cover to cover your pool when you are not using it, or at least a thermal blanket to place on the water? The thin layer of a thermal blanket has a big impact to reducing the heat escaping from your pool. Added benefit is thermal blankets reduce UV damage from the sun and help reduce debris from ending up in the pool. Having a fully automatic pool cover can be expensive, but many pool owners often choose a thermal blanket, and then buy a hand reel to easily roll the thermal blanket up and move away from the pool when not in use. Scroll to the bottom of this review to see all the helpful pool items mentioned here in the PoolForThought Store section below. In warmer climates, you can keep using the heater during short term cold spells. If you live in an area where there is extended periods of freezing, the water must be drained from the heater to prevent water freezing inside the heater which can damage internal piping and the heat exchanger. Inspect the heater, making sure there are no leaves, branches, or other debris built-up around the heater. Make sure no water attachments have come loose, are cracked. Make sure the drain valve is closed. Turn your pool pump on and allow some time for all the air to be pushed out of the heater. Set the heater temperature on the keypad to “POOL”, and set your desired temperature. If you encounter any issues, error codes, you can check the manual. We suggest calling your local pool professional if there are no issues you can resolve. Like all quality pool heaters, the the Hayward H400FDN is designed to be left alone to heat your pool. You’ll be surprised how little you have to mess with the pool heater. I sometimes find myself inspecting it just because it’s running so good for so long. Occasionally, it’s good to just go near the pool heater. Is it running? Anything unusual? Many heater failures happen slowly over time, such as water leaks, and inadequate heating from heat exchanger soot build-up or incorrect gas pressure. Damage or debris from animals, insects, and vegetation can also affect your gas pool heater. You can get an early warning on larger issues just by doing a quick inspection of the heater while its running. If your Hayward H400FDN does have issues, Hayward gas pool heater troubleshooting in general is fairly straightforward, as most problems will be shown as error codes on the control panel. Hayward H400FDN error codes and what they mean are contained in the Hayward H-Series user manual below. You can then troubleshoot the issue depending on the error code. You might have questions about buying, installing, and owning a Hayward H400FDN pool heater. Others on Amazon.com have asked questions as well. Feel free to see if others have asked, and already have answers. Go here on Amazon to see what others have asked, and the answers they have received. The warranty is one year if you install the heater yourself. The warranty is two years if you have a licensed and qualified pool professional install the heater. will within one year from date of installation for all users, for the original purchaser, repair or, at our option, replace without charge any defective part. We further warrant that if the heat exchanger or exchanger headers (water-containing section) leak within one year from date of such installation for all users, due to defects in materials and workmanship, we will provide a replacement part. Cost of freight, installation, fuel, and service labor (after one year) is at user’s expense. For full details of warranty agreement, see warranty certificate included in this manual. Warranty extends in duration to the term of (2) years for all non-ASME certified products and three (3) years for all ASME certified products ONLY when products are installed and serviced by a licensed and qualified pool equipment professional with sufficient experience in pool equipment installation and maintenance and adhering to the requirements of the jurisdiction where the product is installed. NOTE: If you are registering your heater, be sure to enter H400FDN in the search box, the heater serial number, and when you purchased the heater to start the warranty registration process. Now, Hayward will only be able to help you so much over the phone or by contact form. I also recommend you find a local Hayward dealer as well, as they will be experienced in all aspects of Hayward pool heaters. Hayward gas pool heater installation, routine maintenance, troubleshooting, and part replacement are all things a local dealer will know how to do. NOTE: Be sure to check the Pool Heaters checkbox before you search Hayward’s dealer locator. We discussed many aspects of gas pool heaters and other helpful pool products in this Hayward H400FDN review. Look below at the Pool For Thought Pool Store where all the products we mentioned are listed for an easy reference. Here are all the items discussed in this article. Everything you need to enjoy warm pool water, an early and full pool season, and no shivering pool fun! If you’ve read this far, you’ll know the basics and what to expect when buying and owning a Hayward H400FDN gas pool heater. I’ve owned the same gas pool heater since 2006. Living in a cold climate, my pool heater gets plenty of use. I have to say owning a pool heater is worth every cent. I’ve extended my pool season where a normal season lasts three months during our short summers, to six months. I’ve doubled my pool season, and I get to enjoy this extended season year after year. The purchase and install cost, plus the mild cost of gas and maintenance has more than been offset by the enjoyment I’ve gotten out of warmer water and an extended pool season. Although a little more money than competing gas pool heaters, the benefits overwhelmingly outweigh the extra price. Fast pool water heating, high-quality construction, and being easy to use, the Hayward H400FDN is a solid choice for a gas pool heater. FREE GIFT: Get a One-Page Summary of This Article! Would you like a one-page summary of the Hayward H400FDN Review emailed to you? The Quick Summary is really helpful to have when comparing other products. Plus, you can click right back to this Pool For Thought article from the Quick Summary if you need more information or to order the heater. Some of which were not mentioned in this article! Direct link to the product on Amazon in case you need more into or are buying.